At sunrise, Luckenbach was pretty quiet except for the chickens. This black and white images of the famous post office shows the character of the building. Made famous by Waylon Jenning's and Willie Nelson' well known song "Luckenbach Texas - Back to the Basics" this sleepy town is a mecca for country folks young and old. At sunrise, Luckenbach was pretty quiet except for the chickens. This black and white images of the famous post office shows the character of the building. 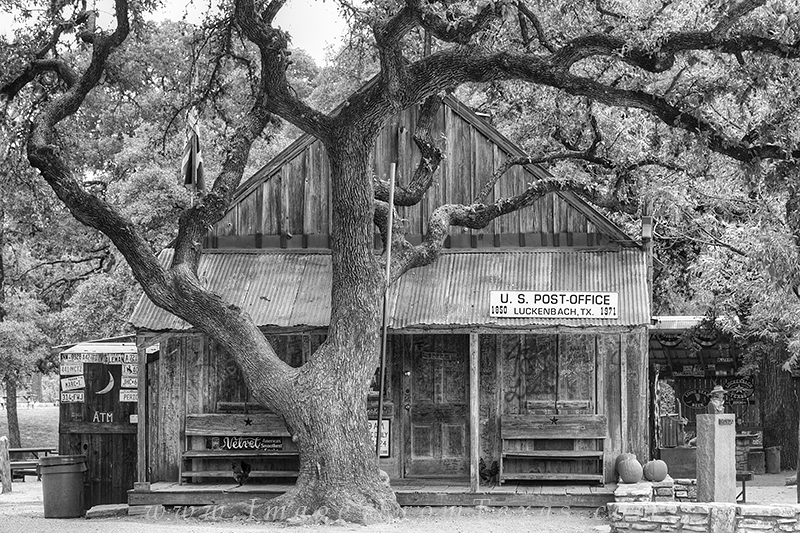 Made famous by Waylon Jenning's and Willie Nelson' well known song "Luckenbach Texas - Back to the Basics" this sleepy town is a mecca for country folks young and old. Photo © copyright by Rob Greebon.